Well, not exactly a tea shop but something just as refreshing. 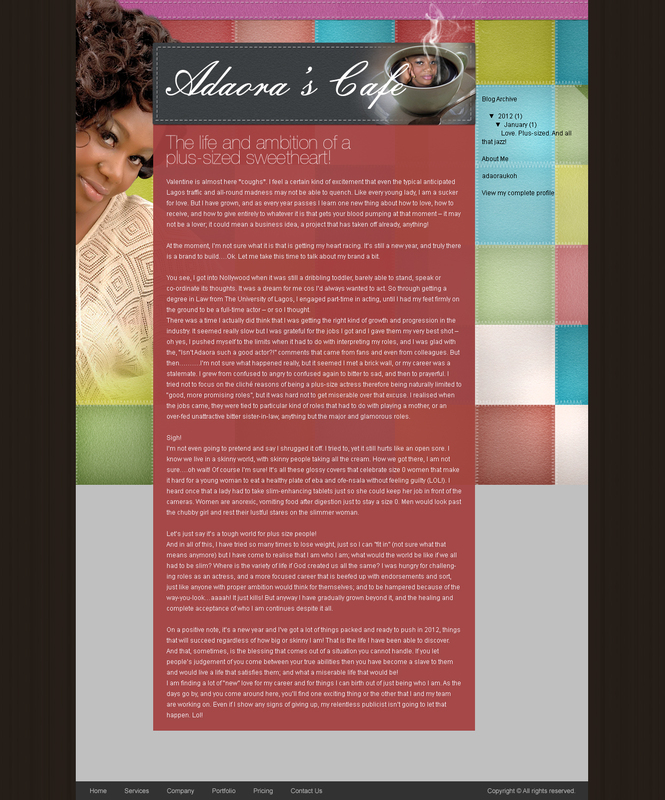 The Nollywood actress started a new fun blog a few weeks back. Her posts are fresh, sweet and hot like a cup of tea. This is where she lets her hair down and shares her views on different issues that affect her directly or indirectly as a plus-sized lady.